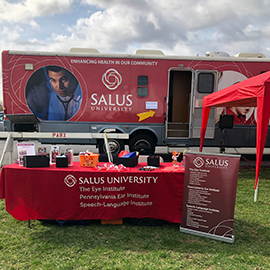 On Friday, April 12, Salus faculty, students and staff participated in the inaugural Health Fair conducted by the LeVine Backstretch Clinic, which is operated at the Parx Casino in Bensalem, Pa. as part of the horse racing facility there. 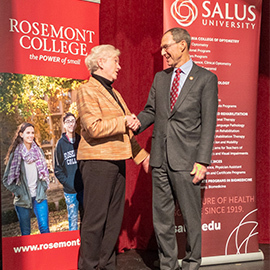 The Backstretch Clinic is an initiative of the La Salle University Neighborhood Nursing Center; the volunteer physician, Dr. Ken Risen; and, the Pennsylvania Thoroughbred Horsemen’s Association (PTHA). 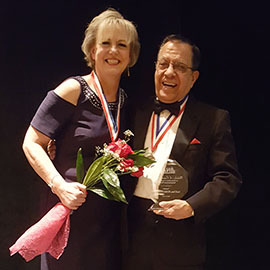 The American Academy of Audiology (AAA) held its annual meeting and conference in late March in Columbus, Ohio, that 10 faculty members and 22 students from the University’s Osborne College of Audiology (OCA) attended. 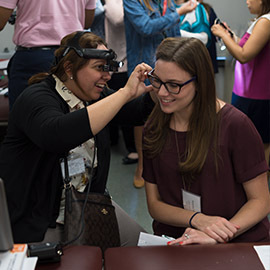 Two four-day workshops are scheduled at Salus University’s Osborne College of Audiology (OCA) as part of the annual Summer Workshops. This year, the sessions are held July 20 through July 23 and July 25 through July 28. 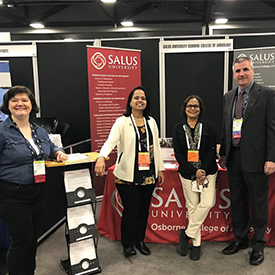 Members of the Salus community attended the National Academies of Practice (NAP) Meeting and Forum in Pentagon City, Va., March 7 through March 9.